Google is facing a difficult situation in Australia where a court has demanded that it reveal the identity of anonymous bloggers that are said to have defamed a sports player-turned-businessman. 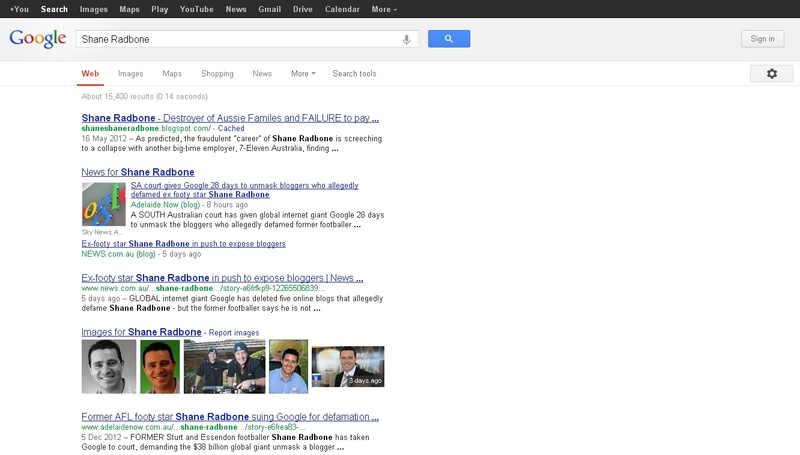 Former Australian rules footballer Shane Radbone sued Google last month after claiming that a number of blogs on the company’s Blogger service defamed him. Ruling today, a South Australia court judge has given Google 28 days to provide email addresses, telephone numbers and the IP addresses of the individuals that registered the blogs, according to the Herald Sun. 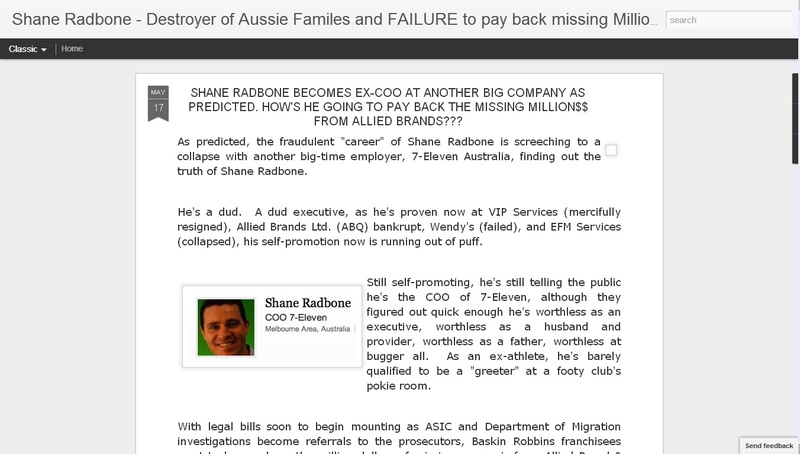 The anonymous Internet users accuse Radbone of committing fraud, borrowing $1 million unlawfully and, among other things, being “an incompetent sportsman and businessman”. Last week, Google said it had deleted five blogs central to the case, but a Google search for ‘Shane Radbone’ brings up a Google-hosted blog (ironically above news headlines announcing the verdict), which is still online — per the images below. It is not clear if this blog was among those in Radbone’s original complaint, but it does include a number of comments — “He’s a dud. A dud executive…” — which mirror the alleged defamation that he is taking action against. We reached out to Google but the company declined to provide comment on the verdict. Google takes a strong stance on sharing information from its users, and the company produces biannual transparency reports that provide details of government requests for information from its services. The most recent report saw 13 requests from Australia during one year, of which 5 were from court orders. Though it prefers not to disclose data, Google does so when legally required, as its policy from the transparency reports, below, explains. That may mean it is forced to comply with the Australian court’s order. When we receive a request for user information, we review it carefully and only provide information within the scope and authority of the request. We may refuse to produce information or try to narrow the request in some cases. Like all law-abiding companies, we comply with valid legal process. We take user privacy very seriously, and whenever we receive a request we make sure it meets both the letter and spirit of the law before complying. When possible and legal to do so, we notify affected users about requests for user data that may affect them. And if we believe a request is overly broad, we will seek to narrow it. Last year, an Australian court found Google guilty of allowing its partners to run ‘deceptive’ ads on its search service. The company was also fined by a court after an Australian man accused it of allowing defamatory search results.